And thus ensues the most tragic part of the book. 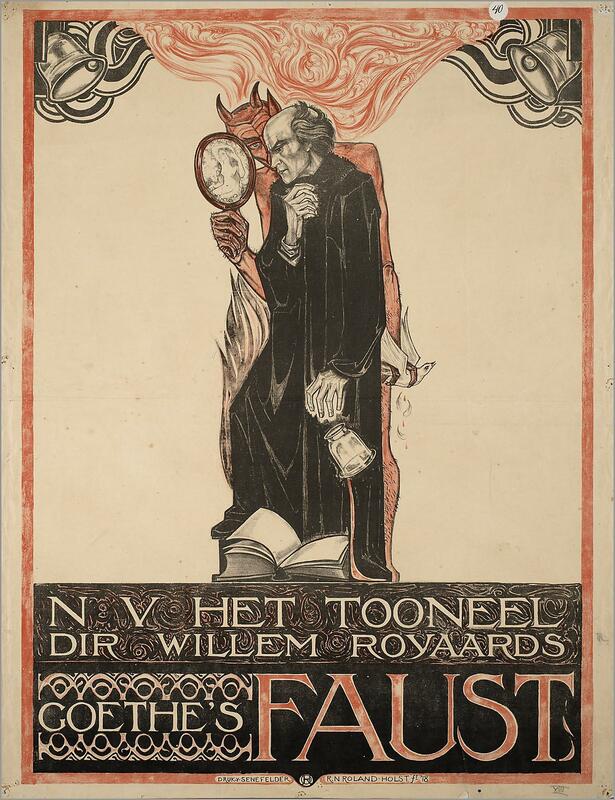 Faust makes a pact with Mephistopheles, and making a deal with the Devil can only ever lead to destruction. In Christopher Marlowe’s play, the pact Faust makes leads him to hell. The pact is simple, really, Faust asks for 24 years of restored youthful vitality. What man does not want to be young again and re-live his youth? 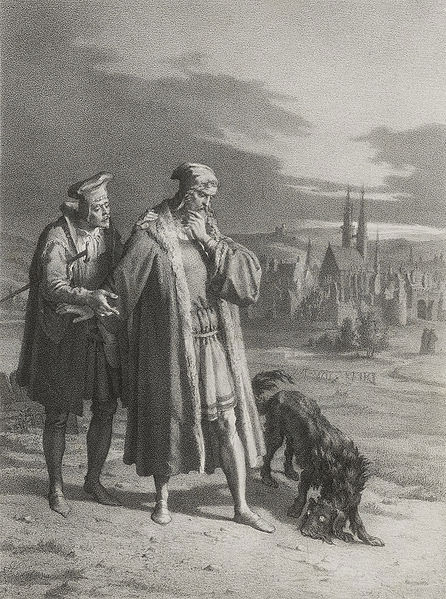 While Marlowe’s pact is the 24 years in exchange for Faust’s soul, Goethe changes the pact slightly. Faust’s soul will not be required if he doesn’t grow attached to any part of his unlived youth. Faust can remain spiritually safe if he refrains from any attachment to any of his experiences in the following 24 years. This is a spiritual truth so profound, Johnson says, that it takes years of observation before its full impact can be comprehended. 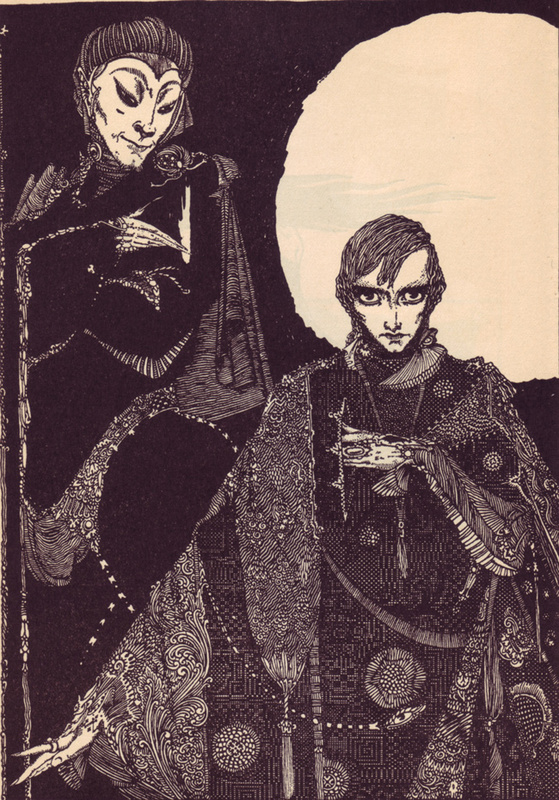 And so Faust and Mephistopheles, exact opposites, head out on their adventure to begin what becomes the most important lesson in Faust–that both sides of man must be redeemed, self and shadow. True redemption does not come from one side triumphing over the other. In the beginning, Faust is weak, shy, frightened and inept, and Mephistopheles is ruthless and bold, unhampered by morality or ethics. By the end, Faust has become strong and Mephistopheles has learned to love. No matter what he experiences in the ensuing adventures from time spent in taverns to the seduction of Gretchen, Faust never finds happiness. And Mephistopheles always replies that he promised only youth and experience, not happiness. Faust brings about the greatest destruction in his seduction of the innocent and pure Gretchen. She becomes pregnant, which leads to her misery and shame. 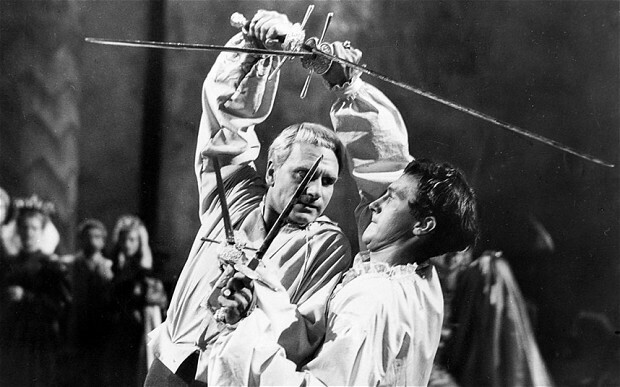 Her brother challenges Faust to a duel to defend her honor and is killed by Faust. Finally, Gretchen kills herself and her newborn child. This ends Part I of the book. Few misconceptions of modern man cost him so heavily as this tendency toward literalness, he says. And if Goethe understood this is the early 19th century, it is much more urgent for us to understand it today. Essentially, there is no literal solution to unlived life. Water that has passed under the bridge is gone forever. How do we make conscious the problems of meaningless and loneliness, the results of our unlived lives? Johnson says it’s a painful task, and Goethe addresses this dilemma in Part II. Just as Faust is about to drink the poison and end his suffering, he has a vision of Easter music sung by a heavenly choir. That music is always there, according to Robert Johnson, but it usually takes a great crisis of the ego before we can actually hear it. The vision is enough to give Faust pause. Forgetting the poison, he leaves his study to join the festival crowd outdoors. He dances with a peasant girl, drinks a stein of beer and become one with the world once again. Unfortunately, this is the point where suicide is actually common, and it is easy to slip into despair or madness. Our culture has lost most of its guidelines for people at this point in their evolution, Johnson says. But Faust can be used to teach us these guidelines. In the book, the festival is only a momentary reprieve for Faust. Rather than using this new found energy to grow, Faust instead allows his assistant to call him back to work and he returns to the place from which his descent into despair began. But this time there is one major difference, as Faust and Wagner reenter the study, a stray black poodle follows them in. The poodle is a physical representation of Faust’s shadow. Assimilating one’s shadow is the art of catching up on those facets of life that have not been lived out adequately, he says. In Faust, the black poodle with its energy and paradox, makes redemption possible. Setting back to work (a regression to his old way of life) on a new translation of the Gospel according to Saint John, Faust finds change beginning when he realizes that it should read “In the beginning was the Act” rather than “the Word.” Having lived a life of words, Faust now opens himself up to a life of action, which brings about a whole new dimension to his life. The poodle reacts to this change by racing around the room leaving footprints of flame. It disappears behind the stove and reemerges as Mephistopheles. The story is just beginning, and wholeness cannot be accomplished by going back to an earlier stage of consciousness.